"If you enjoy reading my spoiler-free reviews, please follow my blog :) 1941’s Dumbo was never a favorite of mine. It’s a great movie with a sweet message (as most Disney flicks), but I was curious to see how a remake of a 60-min film would develop. Obviously, changes to the story not only will occur, but they need to. People have to stop desiring these live-action remakes to be a literal copy-paste of their originals and start being fair to these movies. Pure animation is different from live-action, and the latter provides a much more realistic environment than the former, so it’s evident that every remake they produce will have some “updates” in the more “silly” aspects. Furthermore, I’ve witnessed a couple of “critics” hating this Dumbo. Hating! Calling it one of the worst films of the year! Now that’s a strong feeling to have against a movie that improves so much regarding its original. Yes, it has a bunch of narrative issues, and the dialogues can be cringe-worthy, but hating this 2019 remake while defending the original as it was some kind of masterpiece is ridiculous. Complaining about the 2019’s ending when the 1941’s is absolutely inadmissible is being a hypocrite. Whining about Dumbo not being 100% the star of the show when the original has the elephant discover his flight abilities four minutes before the end is dumb. In addition to that, this film runs for twice the original’s runtime! What did you expect?! That human characters wouldn’t be a necessary modification? Some “critics” are even complaining about animal abuse or their unnecessary exploration … Are they joking?! Have they seen the original? Do they remember how racist it was? How discrimination was treated as comedy? Even alcohol was handled as a plot point for God’s sake! 2019’s Dumbo barely has any animal violence, and its final message is against animal captivity or exploration, so any person who criticizes this ending is either a despicable human being or not a fan of the original Dumbo, at all. Enough about those “critics”. I feel sick just remembering what they wrote/said. Unfortunately, 2019’s Dumbo does have a lot of screenplay issues. There’s no way of denying it. The human characters are filled with cliche storylines and child-written dialogues. I know that analyzing children’s acting is not exactly a fair critic, but I’ve seen so many remarkable young actors nowadays, who make Nico Parker and Finley Hobbins performances look not that good (their scripts also don’t help). The visual style characteristic of Tim Burton is definitely present, even if its magic becomes overwhelming at times. 1941’s Dumbo was very concentrated in one small location contrary to its 2019 remake where V. A. Vandevere‘s park feels like Disneyland. The stiff dialogues don’t help the movie’s pacing, and its tone could be better balanced. Nevertheless, just the opportunity to watch such a gorgeous, magnificent, and visually jaw-dropping live-action elephant come to life is absolutely delightful and entertaining as hell. When a character like Dumbo makes you cry when he’s crying, makes you feel sad when he’s feeling sad, makes you happy when he’s feeling happy, that’s when you know the visual effects team has reached a point where live-action is pretty much reality. The little elephant looks like an adorable little elephant. I mean, what better compliment can I give a live-action character than “it looks and feels real”? Even with the issues mentioned above, it’s still a heartfelt story, filled with emotional moments, and a wonderful message. Technically, it might lack consistency and some overall quality, but I end up enjoying myself. Experiencing Dumbo‘s pain, happiness, and his bond with the kids flourish is special. Colin Farrell and Eva Green deliver good performances, and their character arcs, cliche as they may be, still carry some efficiency. There’s a wrong vibe surrounding the word “cliche”, like it’s a bad thing. Not at all! Something being cliche just means we’ve seen that before a lot of times, it doesn’t mean we’ve seen it performed better or worse. 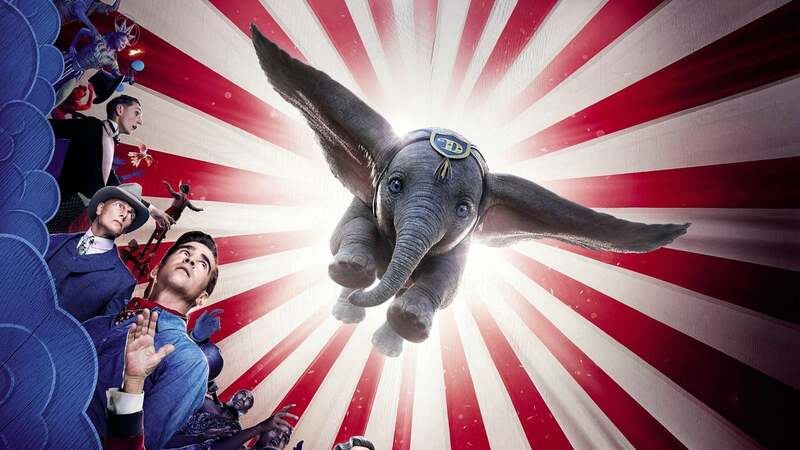 Dumbo is a remake of a very influential 1941 film, so obviously, cliches are a certainty. It’s a Disney tale, after all. 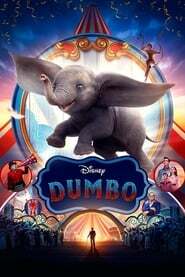 In the end, cliche as it might be, 2019’s Dumbo improves on a lot of aspects of its predecessor. I do believe these movies are almost incomparable since the dimension, runtime, and even the main plot are surprisingly (or not) different. Still, not remembering or even acknowledging the original not only is an absolute flaw, but it can ultimately make you a hypocrite, so be careful with what you write/say. I understand a person not enjoying this film or not liking it as much as I did, but if you hate (!) it, you better give me good enough reasons. Dumbo is probably the most visually stunning and incredibly realistic live-action character Disney was able to produce so far. This little elephant alone is worth the price of admission. His arc is way bigger and complex than the one in the original, which can either delight or disappoint you. To me, it not only worked, but it finished strong and way better than the original. It’s upsetting that the screenplay couldn’t accompany Burton‘s impressive visual style, even if overwhelming at times, as well as the human characters who feel a bit detached from the actual story to tell. It’s still a good time at the movie theater, so go see it! Rating: B"
"The visuals are done well, but this movie is crowded and there wasn't enough working room to make this the great movie I'd hoped for."